Gorgeous foil lace draped along the top of these save the dates fuses modern style with vintage flair for a look that's uniquely you! 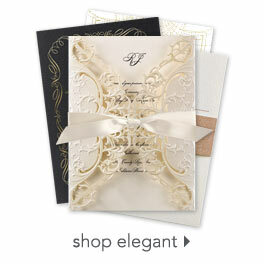 Choose from three paper colors and change the foil color of the lace to match your wedding style. 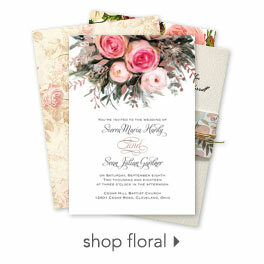 Personalization Options: Design and wording are printed in your choice of foil color.